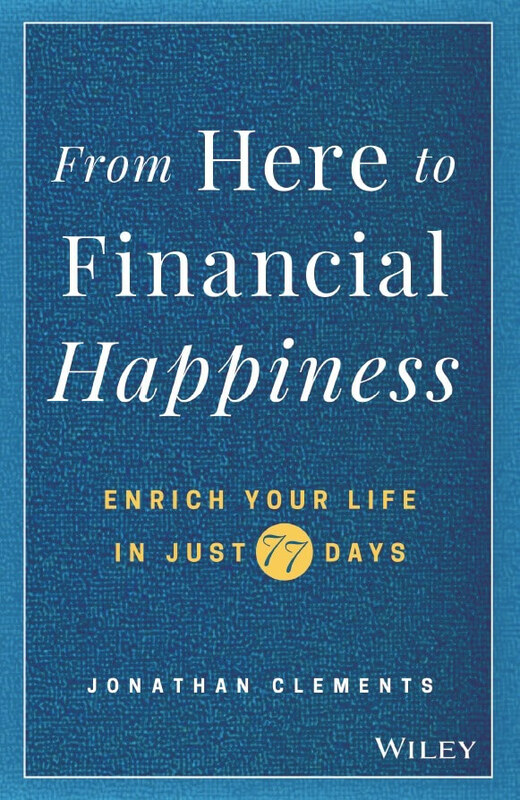 Jonathan Clements is a longtime former columnist for the Wall Street Journal, editor of the HumbleDollar blog, and author whose latest book, From Here to Financial Happiness, comes out in September. I’ve long been a fan of his, and I appreciate his list of 41 Twitter-length truisms that pack a lot of wisdom into a few words. Here are what I think are the top ten. 1. “We get just one shot at making the journey from birth to retirement. Flirting with financial disaster is not advisable.” I would add that flirting with financial disaster can come as much from being afraid to take action as from taking the wrong action. 2. “We are voracious acquirers of financial information, but mostly to buttress opinions we already hold.” I find very few people have open minds about money. Most hold on tightly to their money scripts because they are too frightened to entertain the notion that they don’t know. 3. “Picking superior investments is a crowded trade. Saving more is an easy win.” One of the least dramatic but most important components to creating wealth is frugality, whether it takes the form of choosing lower-fee investments or living below one’s means. 4. “What’s the difference between an equity-indexed annuity and an index fund? One needs an army of salespeople. The other sells itself.” I have never, ever had a client who purchased an annuity of any kind on their own accord. I have had scores who purchased index funds. Avoiding “investments” being aggressively pushed by salespeople can save you thousands and potentially make you millions. 5. “Cash value life insurance isn’t an investment, it’s a religion—and you’ll never meet a more prickly group of disciples.” I absolutely agree, and the proof is in the nasty comments that fill my email inbox every time I write about this topic. 6. “Draw up a list of your greatest pleasures in life. Then ask yourself: Do you need great wealth to enjoy any of them?” Of course you don’t need great wealth to spend time with those you love, drink in a gorgeous sunset, or do something nice for someone else. 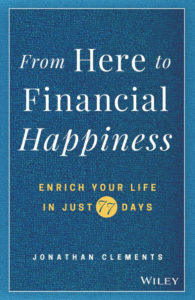 You do, however, need some financial well-being to make meaningful pleasures happen. 7. “When you’re ill, you realize how great it is to feel healthy. Money’s similar: When you’re broke, you realize how great it is to be solvent.” The flip side of this truism is the gratitude many of my clients feel for having financial security. 8. “A boat is not your financial friend, but a friend with a boat is.” Buying toys, tools, or other big-ticket items you rarely use and can barely afford is a common money mistake. 9. “Trying to beat the market is a game for the rich. Only they can afford the inevitable disappointing results.” Timing markets doesn’t work whether you are poor or rich; even the rich can only afford to be wrong for a while. 10. “The big financial risk isn’t dying early in retirement but, rather, living longer than we ever imagined.” Most people significantly underestimate how long they will live. That is why 48% start Social Security benefits at age 62 and another 48% start them at age 66. Only 4% wait until age 70, despite statistics showing the odds are this choice will net more lifetime income. I know that’s ten, but one more seems appropriate to end with: “Our only earthly immortality will be the recollection of others. Make sure those memories are good.” One of the ways we can be remembered fondly is through giving back to our communities with both our money and our time.